Little Adventurers Nursery is based in Upminster, Essex. They have 5 rooms catering for children from 0-5 years old which is split into Discoverers (0-2 years), Explorers (2-3 years) and Adventurers (3-5 years). Little Adventurers is a brand new, individual and family run nursery which we have been developing for 3 years. For us, it was important that we had a system which would underpin and enable us to operationally perform to our ethos and aims – to provide the local community with high quality childcare. After demonstrations and research into other software options, it quickly became apparent that Abacus is elite in this field, giving us sophisticated software to support our setting right from the start. Setting up any system as part of a new business has its challenges – a comprehensive and flexible package needs time for staff to become familiar with it but Parenta have an excellent customer service team, who were extremely helpful and knowledgeable about their systems. Prior to opening, we were given tutorials using ‘dummy’ information for staff to become familiar with the package. We have therefore been able to open our nursery with systems up and running in the sure knowledge that as we grow, the software will really come into its own – providing us with templates, accounting, rostering and ratio calculations to support the operational side of our business. There has been no hidden shocks from Abacus – it is a very user friendly system and easy to navigate around. A real bonus is that the Parenta staff are available for support up to 8 pm at night and furthermore, they are so friendly and nice. How have your staff found using Abacus? Our Deputy Manager who has been practising with Dayshare finds the system user friendly and easy to navigate compared to other systems she has used; she is quite comfortable with all the elements that she has looked at so far. The support from the whole team has been fantastic. Right from our initial meeting and overview of Parenta with Richelle, to our many questions as we start using the system for real – the team are professional, knowledgeable and you never feel like you are bothering them or are asking too many questions! There are many impressive features with Abacus – especially the flexibility. For example, invoices can be emailed directly from the system, with tailor written letters that can be customer based or date/ month based. It allows you to change the letter selection that the invoice gets attached to, allowing you to tailor the system to meet your own needs. This flexibility is a great advantage for settings. It’s also been really helpful having all the necessary information about the children in one place without taking up valuable space in filing cabinets! Similarly, although we have not yet had time to look at all the reporting facilities –they are all very flexible and all encompassing. You can report from the customer, debtor, staff, personal (holiday & sickness) basis as well as staff to children ratio reports. Obviously, we are only a little way down the road using Abacus but from our initial findings and use of the system we all agree that Abacus will be a great asset in helping to make our nursery a success and very much part of our high quality service. We are extremely impressed and look forward to using all aspects of the software as our nursery develops. 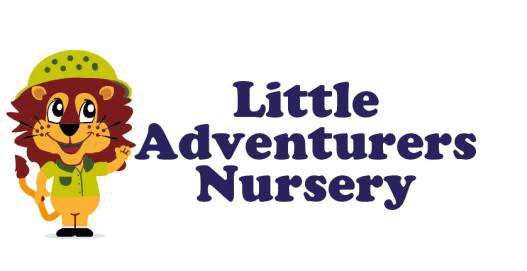 To find out more about Little Adventurers Nursery, visit their website or find them on Facebook.